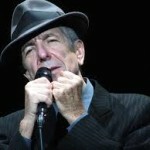 Leonard’s publicist unbeknown to him, revealed that this song was about his secret affair with Janis Joplin. While it did great for the record publicity, it really angered Cohen that someone he trusted had leaked this personal information. Regarding the lyrics towards the end of the song: “I’ll never confess, that I loved you the best. I can’t keep track of each fallen robin. I remember you well in the Chelsea hotel, that’s all I don’t even think of you that often”– to some, this may seem to be a sarcastic line, as if to say to himself “I want to seem like I don’t care, but underneath I really do care about the death of this lover. But I don’t want to admit it to myself or else I might feel really sad about it”. But there’s another meaning here. Perhaps to say he really cared after the fact, this could be hypocritical and a lie, because in reality, maybe he really didn’t care about her and brushed her aside like so many of the other fallen robins he dated. It may seem mean, but perhaps that is the truth, that he really didn’t care and to lie and say that he did, would dishonor her life and death. But again, he may have had the other emotion as well at the same time. Double meanings like this in Cohen’s lyrics appear intentional and one of the things that make him such a fascinating, meaningful and credible writer.